New research from City, University of London has shed light on the array of media strategies used by the Nigerian militant group Boko Haram. Dr Abdullahi Tasiu Abubakar (right) found that the organisation rose to notoriety through their long-standing commitment to self-promotion, barbaric activities, effective communication with journalists and the western media’s “obsession” with jihad-related stories. His findings, published in a chapter of Africa's Media Image in the 21st Century, are based on interviews with individuals who have had first-hand dealings with Boko Haram, including former friends of key members and Nigerian journalists. The research shows how the group developed from a peaceful movement in 2002 into a violent insurgency of 15,000 fighters, while gradually modernising its media relations strategies. Dr Abubakar, a researcher and lecturer in the Department of Journalism, has identified five key stages of evolution in Boko Haram’s approach to public relations. The group’s public engagement began in the early 2000s with “small media” like leaflets and audio cassettes, which were deeply entrenched in the daily lives of many Nigerians. These were sold and distributed on street corners to followers and the general public. Tapes included sermons from senior figures and were popular due to their condemnation of alleged corruption in Nigeria. Local broadcasters in Borno State used to air sermons by the group founder Muhammad Yusuf when it was still a peaceful movement. Interviewees in Dr Abubakar’s research said this was stopped when the speeches became unbearable to authorities, so the group instead began to hold press briefings at its headquarters in Maiduguri, the state capital. Summer 2009 saw the most open period of interaction between Boko Haram and journalists. After Yusuf was killed in police custody following clashes in July 2009, the group went underground. Boko Haram felt it was too risky to approach journalists openly, but still had a thirst for publicity and used anonymous phone lines and fake email addresses to deliver messages and videos to reporters. They also arranged teleconferences, where a spokesman with a pseudonym would set up a meeting of journalists in a secret location then give a press briefing via a mobile phone. The technique was used until the spokesmen were tracked down by authorities. Boko Haram began to create more audio and video content and distribute it discreetly to journalists on CDs and later memory sticks. This became their most potent propaganda tool, with videos including brutal executions and images of the schoolgirls kidnapped in 2014, taking their global notoriety to new levels. They also dropped leaflets for journalists to find – on one occasion, their threats delayed the presidential election by six weeks. The techniques were eventually disrupted and blocked by security agents. Uploading videos to websites like YouTube – bypassing the mainstream media – became the preferred method for the group. Messages were also uploaded to Twitter and promoted by ISIS, to which it pledged allegiance. The quality of their grainy videos began to improve dramatically and became expertly produced, with graphics and music. Journalists were alerted when new material went online. This was picked up by media before the websites had a chance to delete it. Dr Abubakar said: “From being an obscure sect in north-eastern Nigeria to becoming an international media phenomenon, Boko Haram has undergone a rapid transformation. Its media relations skills, which both utilise and defy modern public relations logic, have played a significant part in this. “This research shows the strengths and weaknesses of their approach and why media relations has been an important element of their organisation from the outset. So significant is propaganda to the group that it is part of its original name – “Da’awatu” is Arabic for propagation. “The main factors in Boko Haram’s notoriety have been a combination of their unfettered barbarity and the changes taking place in our complex media environment. Advances in technology, the western media’s obsession with jihadi-related stories and the fluid nature of the Nigerian media landscape have unwittingly aided Boko Haram’s publicity drive. 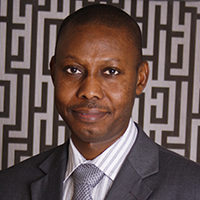 Dr Abubakar’s research was based on interviews with: 22 journalists who have covered Boko Haram for local and/or international media (between 2009 and 2015); three people with links to the group’s founder Muhammad Yusuf (two former students, one person who studied Islamic education with him) and two former friends of a suspected Boko Haram bomb maker. Audio and video messages issued by the group were also analysed. In addition, Dr Abubakar carried out library research and drew from his personal experiences as a journalist covering the insurgency for BBC World Service and the Nigeria-based Media Trust. 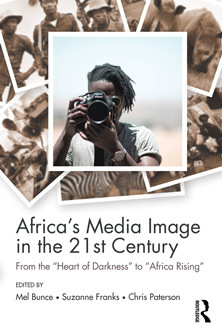 Africa's Media Image in the 21st Century: From the "Heart of Darkness" to "Africa Rising"
The research was published in the chapter Communicating Violence: The media strategies of Boko Haram in the book Africa's Media Image in the 21st Century: From the "Heart of Darkness" to "Africa Rising". The book was co-edited by Professor Suzanne Franks and Dr Mel Bunce (both City, University of London) and Chris Paterson. Dr Abubakar will be among the panelists at a public discussion event at City on Wednesday 2nd November, Reporting Africa: Reaching beyond the Dark Continent?